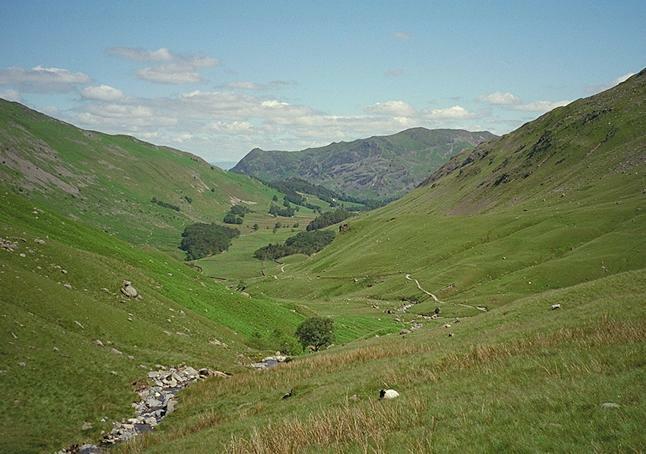 Place Fell and Birk Fell lie at the end of Grisedale. The lower slopes of Birks! lie to the right of the valley. Smaller version of this picture.